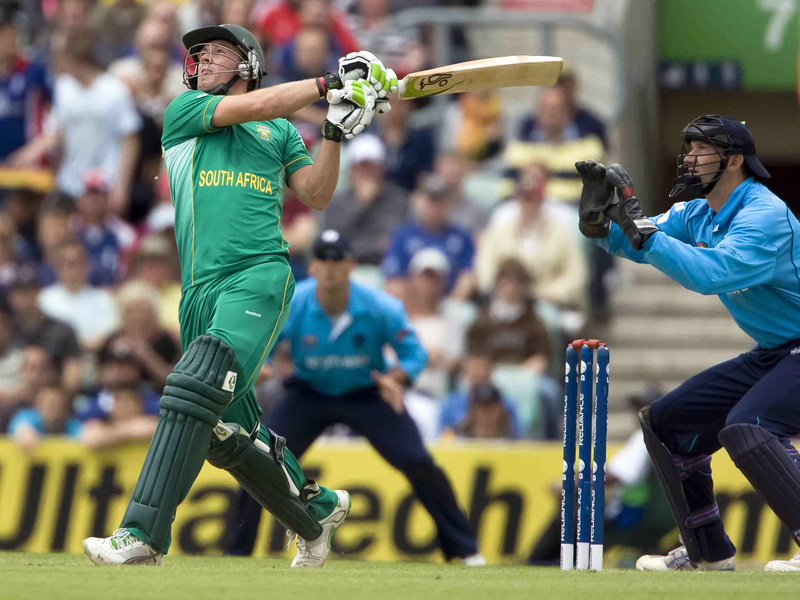 AB de Villiers is the most complete batsman of the modern era. He is a player for all seasons and formats. He can adapt his game to any requirements. The year 2015 will be his annus mirabilis. In it not only is he playing his 100th test – with an average (61) since 2008 higher than anyone else in the game – but lest you forgot its also the year he broke the world record for the fastest odi hundred. That 31-ball century against the West Indies was absolute carnage. Mayhem. Obliteration. You’d run out of explosives. Or expletives, if you were the bowlers. He doesn’t suffer from nervous nineties syndrome. He flew from 82 to 104 in four balls. He went on to make 149 from just 44 balls with 16 sixes. Chris Gayle bowed to him theatrically as he had been officially dethroned as the king of one-day bullies. He destroyed the West Indies bowling again in the World Cup. AB stands for Absolutely Brilliant. It’s well known AB was an incredible young athlete. He was on the fringe of national junior sides in football and hockey, captained South Africa juniors at rugby and was in the national junior tennis team – dreaming of one day winning Wimbledon – as well as excelling at badminton, sprinting and swimming. He’s a scratch golfer, too. And he’s a decent bloke with it. Makes you sick, doesn’t it? He only began specialising at cricket in his teens – when his two older brothers couldn’t get him out, even sometimes ‘bowling beamers at my head’ – but he still kept up many of the other sports. You could see the tennis coming through in his outrageous sweep of a low full toss over fine leg, sometimes one handed – like a top-spin passing shot picked up on the half volley – and the two-fisted backhand morphing into a reverse flick over third man. Golf was visible in the massive followthrough of some of the big hits, getting his hips through the shot to achieve greater momentum, the bat finishing up wrapped round his back like Rory McIlroy’s driver. Hockey came into play in some of his more wristy deflections. He creates shots like Shane Warne invented deliveries. The most outrageous shots are played from a stable base – he gets into position early (though not too early) – with head resolutely still and eyes lasered onto the ball. Some of the Boycott-basics of batting still apply. He watches the game carefully before he goes in, assessing the bowlers and the conditions and the state of the match. He considers the shots he thinks are right for the situation. And whatever he does, the team is the priority. He never bats for himself – witness his four hours of defiance against the Australians in 2012 for just 33 runs and no boundaries to save the Test in Adelaide. And by contrast that amazing 162-run decimation (off just 66 balls) of the West Indies (again) in the 2015 World Cup. He deserves to be the highest-ranked one- day batsman in the world. He has taken destructive hitting to nuclear levels. In this era of uber-specialisation, his varied sporting upbringing is a good antidote. Not only does it aid his hand- eye co-ordination and enhance his fitness, but such diversity allows someone to enjoy their main sport because it is not a job or just an extension of a series of drills but a proper expression of his dynamic skills. It banishes apprehension, promotes fun and experimentation. Batting to him is almost like exploration. ‘Sport is ninety per cent about having confidence in your ability and strengths,’ he says. 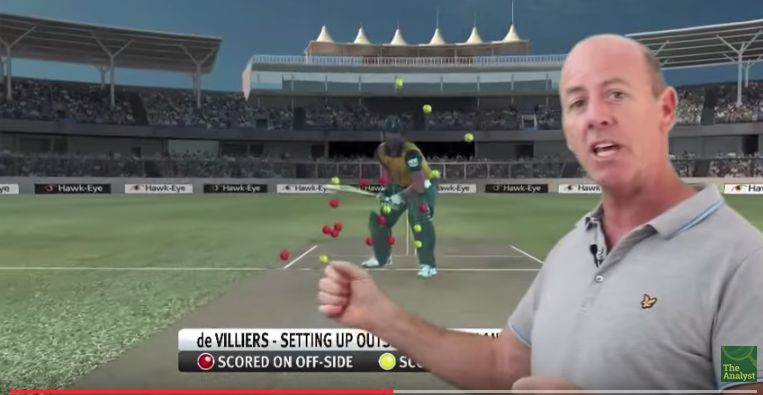 De Villiers is fearless. His mother said: ‘He has always played without fear. It is just enjoyment. He has always been like that and it is such a gift that he simply doesn’t feel pressure.’ I wonder if he would have been the same if he had taken up bowling instead of batting . 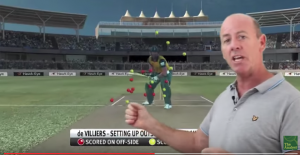 . .
IS AB MORE OUTRAGEOUS THAN VIV?